Have you ever wondered what it would be like to go to a dinner party with Edgar Allan Poe? Wonder no more! 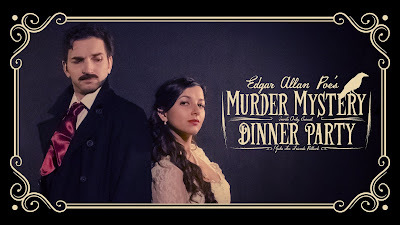 The people over at Shipwrecked comedy are releasing their crowdfunded film, Edgar Allan Poe's Murder Mystery Dinner Party this month on YouTube! We can't wait to see this. Check out the exclusive trailer above! A new Rouge One Trailer is here! Is a Star Wars TV show in the works at ABC? New Death Note Movie is coming to Netflix! Jimmy Fallon is hosting the 2017 Golden Globes!